Kale Logistics Solutions, a leading provider of IT solutions for the logistics industry, has won the award for ‘Most Innovative Company – Service Category’ at the CII Industrial Innovation Awards 2018. 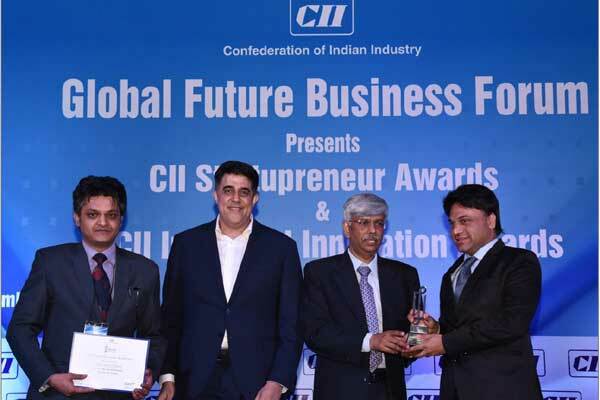 Kale Logistics Solutions was also recognised amongst the Top 25 innovative Indian companies. The awards recognise innovation amongst Indian companies based on the CII Industrial Innovation Framework, each year. Kale Logistics Solutions was lauded for its innovative work on digital trade facilitation and cargo community systems. The awards ceremony was organised on December 3, at ‘Global Future Business Forum’ in Delhi, India, where names of the winners were announced and they were conferred with the awards. Amar More, chief executive officer, Kale Logistics Solutions, was present at the event to receive the award. CII Industrial Innovation Awards were first instituted in 2014 to identify and celebrate innovative Indian enterprises across industry segments and sectors. The focus of the awards is on firm level Innovation capability building and encourage Indian firms to remain competitive in domestic as well as in global markets. The award is divided into six-stage funnel process which includes thorough assessment by CII assessors and grand jury, which consists of Indian and International experts who decide the award winning company in each of the awards category. At every stage, the shortlisted companies are measured on innovation culture, innovation management and results of innovation. In last four consecutive years, this recognition has established itself as one of the most coveted innovation awards in India. “This award is a recognition of the innovation, dedication and sheer determination of our team has to go beyond the ordinary and innovate at an exceptional level. It is also a recognition for our continuous work on digital trade facilitation initiatives like digital freight corridors and cargo community systems, which are transforming the logistics industry,” he said. “We thank CII for recognising our work and contributions to the logistics industry and for providing the impetus to us for creating the next big innovation in logistics,” he added. One of the notable achievement from Kale Logistics Solutions’ Port Community System – Codex has been streamlining the tax (IGST) refund process of the Indian exporter at Tuticorin Port. This platform has enabled instant IGST refunds within three business days. IGST refunds is a big issue with the exporters in India, there are millions of rupees of refunds stuck with the government due to data inconsistency. This is blunting the competitive edge of exports and is causing liquidity problem. With Codex this challenge finds a solution. The awards evaluate all kind of new processes, products, services, technologies, and other type of innovations that have the ability to fuel growth within the Industry. It also assesses new ideas and approaches along with tangible results.